Steven Johnson began his professional career as a Certified Public Accountant. He became a licensed Attorney in 2012. While practicing law, he maintains his CPA license. He graduated Campbell Law School in 2012. While attending Campbell Law School, he clerked for the United States Bankruptcy Court during the summer of his 2nd year. Steven completed the Business Track and Intellectual Property Track while at Campbell. Steven worked for an accounting firm before going to law school, where he conducted audits and prepared tax returns for various entities. He passed all four parts of the CPA exam on his first attempt. He received his CPA license in March of 2009. He obtained his Bachelor of Science in Accounting and his Master of Science in Accounting from East Carolina University. 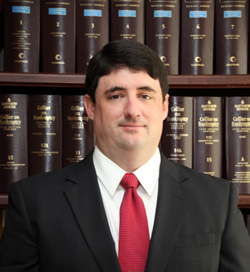 Steven is a member of the American, North Carolina, and Pitt County Bar Associations. He is a member of the Tax Section of the American and North Carolina Bar Associations. He is also a member of the North Carolina Association of Certified Public Accountants. While enrolled in law school, he joined the professional law fraternity Delta Theta Phi. He also served as the treasurer for Campbell Law’s Public Interest Law Initiative. While attending ECU, he was inducted into the International Honor Society Beta Gamma Sigma, of which he is still a member. He is also a member of Beta Alpha Psi, an accounting Honor Society. Steven concentrates his practice in business transactions, business litigation, business formation, contracting, mergers and acquisitions, bankruptcy and tax issues.